Our castle is our stronghold! Castles have offered the people of Saaremaa protection as well as a place for trading and handicraft. This is where people gathered for celebrations and festivities, to celebrate the special time with friends and the best spirit. Saaremaa Caste Vodka is ecologically clean and mild tasting handmade vodka. The high quality and clearness of Saaremaa Castle Vodka are guaranteed by natural ingredients and carefully controlled manufacturing process. The vodka evolved as a collaboration between Saaremaa people and 120 years old national vodka fabric in Zhytomyr, Ukraine. An unbroken manufacturing chain is what makes the making of this vodka special – from making the „Lux“ spirit to bottling the ready mixed vodka. The raw materials of the vodka include local wheat, best water, natural birch extract, different spices and cornflower. Who or what is a black rose? or a wild nature, which unleashes the good company. 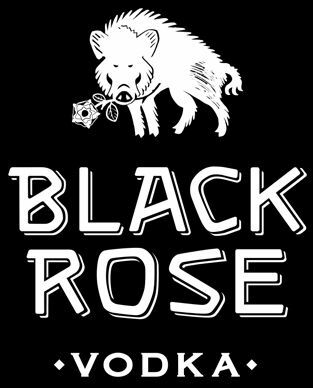 The high quality and purity of Black Rose Vodka are guaranteed by natural ingredients and carefully controlled manufacturing process. The vodka evolved as a collaboration between Saaremaa people and 120 years old national vodka fabric in Zhytomyr, Ukraine. An unbroken manufacturing chain is what makes the making of this vodka special – from making the „Lux“ spirit to bottling the ready mixed vodka. The raw materials of the vodka include local wheat, best water, and hand-picked natural spices. Attention! This is an alcoholic drink. Please drink responsibly.